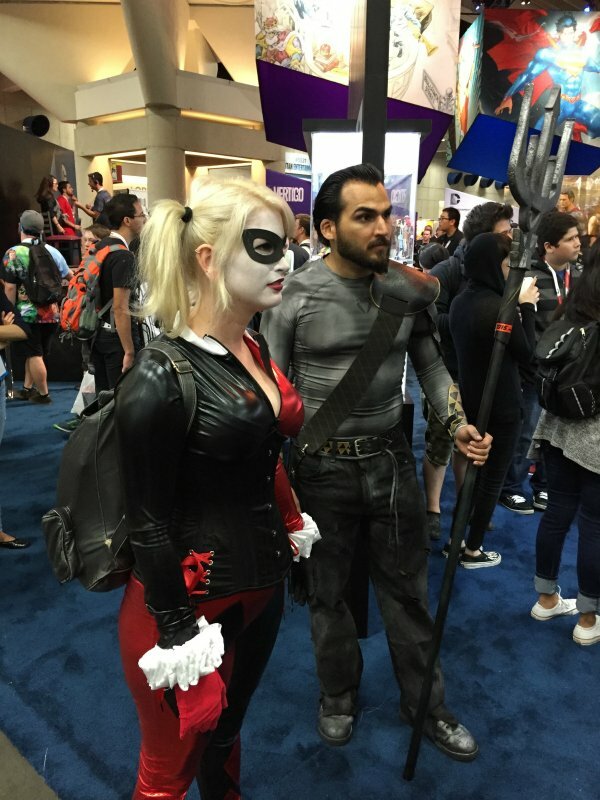 As San Diego Comic-Con rolled on, the cosplayers came out in full force. 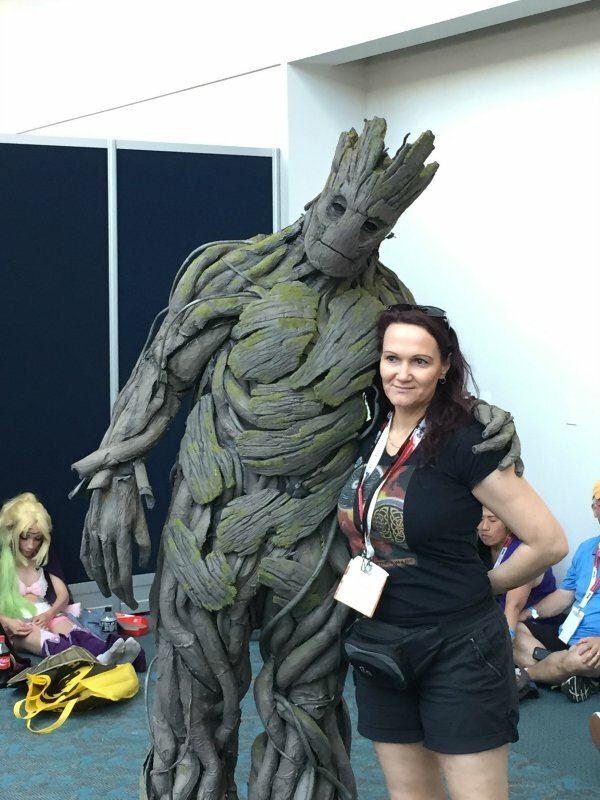 Part of the fun of walking the floor comes with running into life-size versions of the characters that we love from the screen and the page. 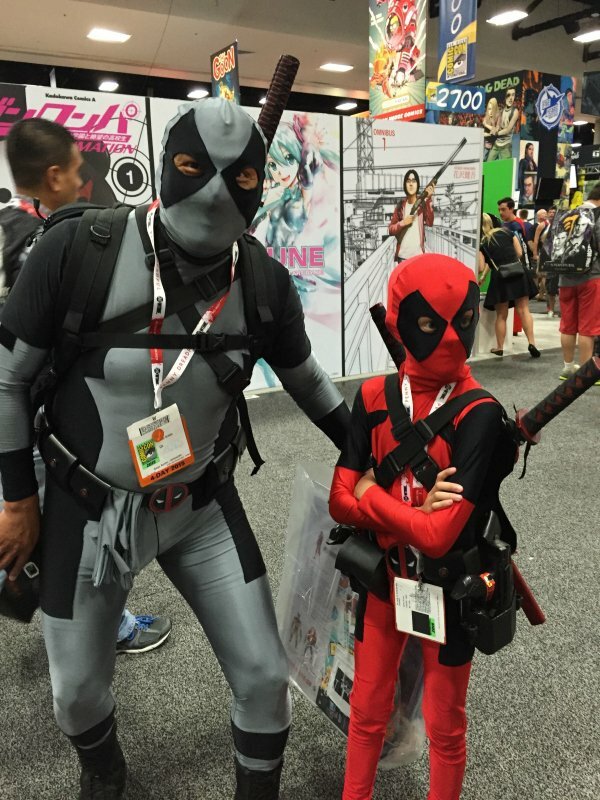 Deadpool will walk right past Spider-Man, pausing to make room for Furiosa or a human Woody from Toy Story. 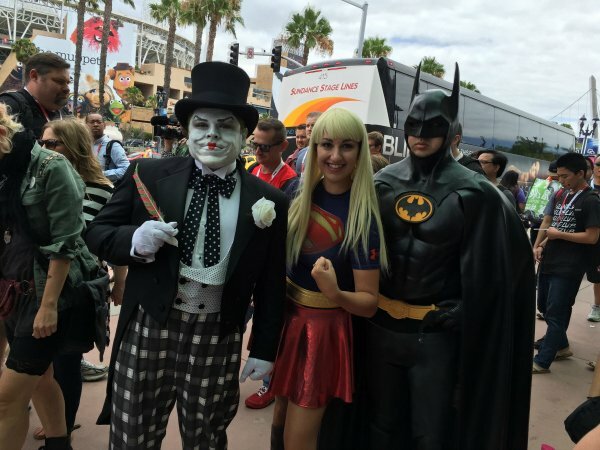 Earlier, we brought you a few of our favorite cosplay patrons roaming the Comic-Con areas. 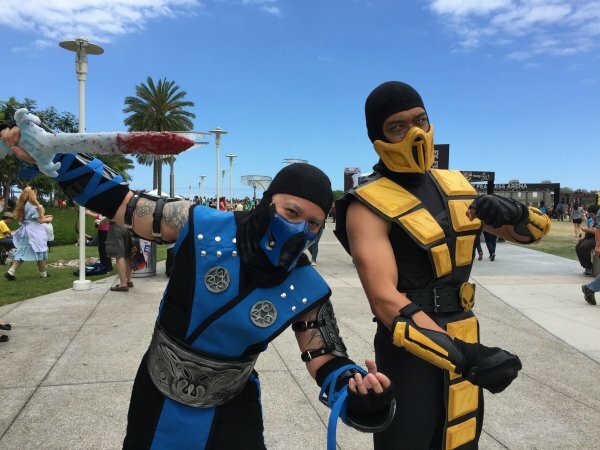 On Friday, even more hit the San Diego streets and the rows of the convention center floor, shopping for pop-culture items, posing for pictures, and adding to the aura of the SDCC experience. Want to feel like you are here? 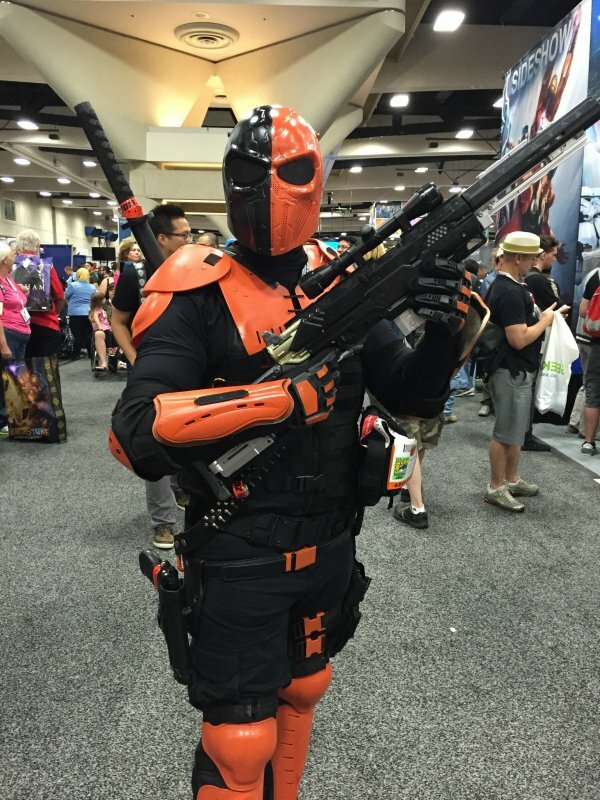 Browse this gallery of amazing cosplayers from Comic-Con 2015! 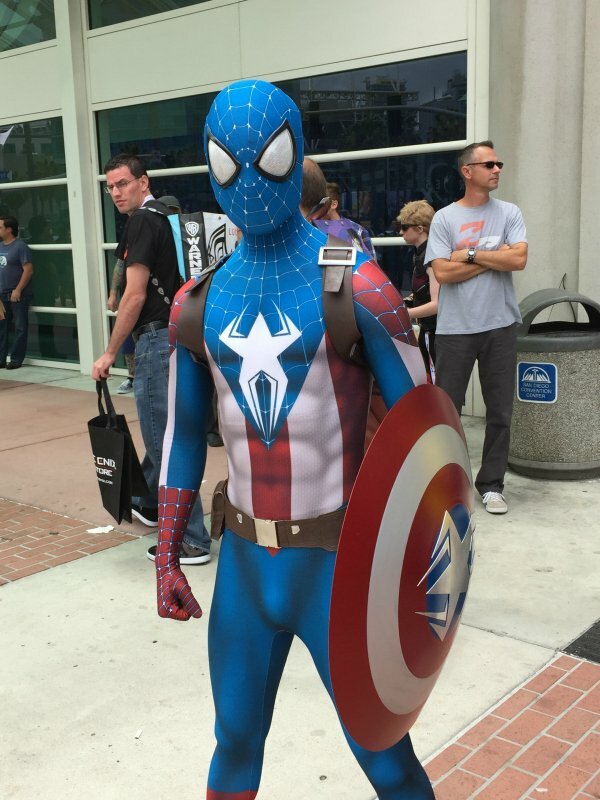 Part Spidey. Part Cap. 100% awesome! Show us your best finishing move! Though this guy might be from the video game Team Fortress 2. Can you guys tell? Circa Tim Burton era. Vintage. Ever dance with the devil… ? This girl mysteriously disrobed in front of the Convention Center while a crowd around her chanted "Show off! Show off!" Viral marketing, I’m sure, but for what? No, really. Who are you going to call? 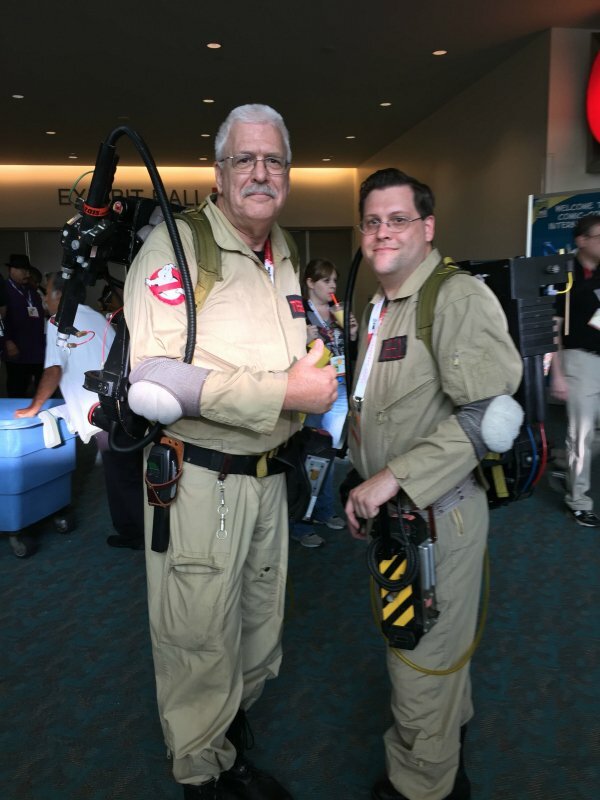 Coolest dad at Comic-Con so far this year. 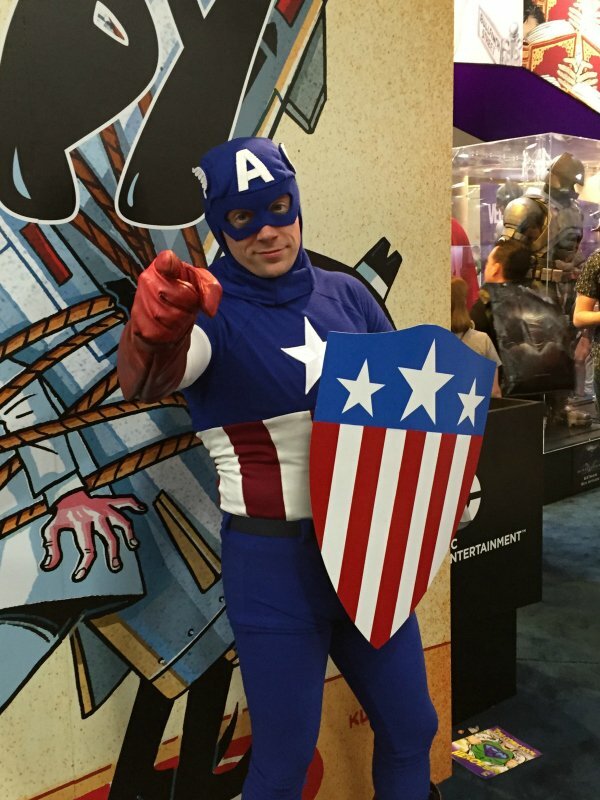 There are a lot of Caps walking around the Con this year, but I love the 1940s-era suits and shields the best. 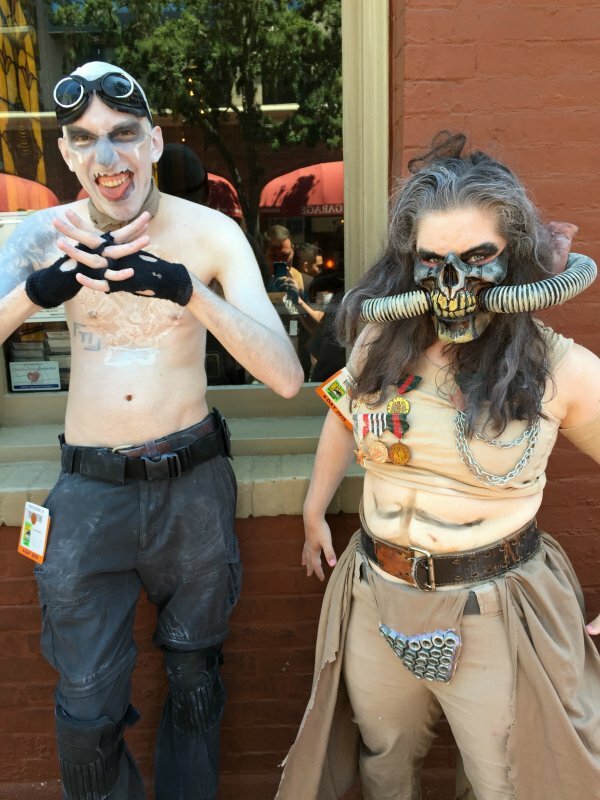 These two were about to be part of a DC stunt on the floor. I dig that new Aquamen are adopting the Jason Momoa look for the hero. It’s not the size of the gun. It’s what you do with it. 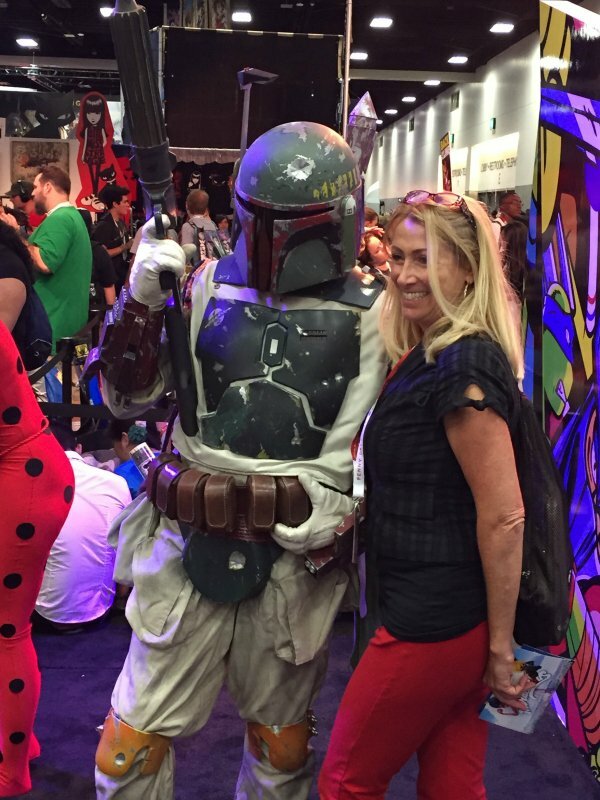 Star Wars is well-represented on the Comic-Con floor this year. 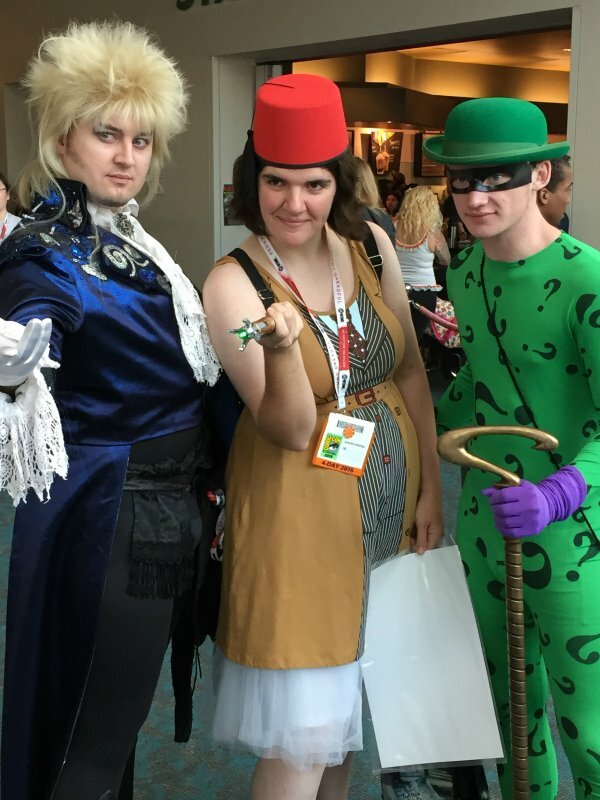 Who is that posing with the Riddler in the cosplay picture? Clever idea. 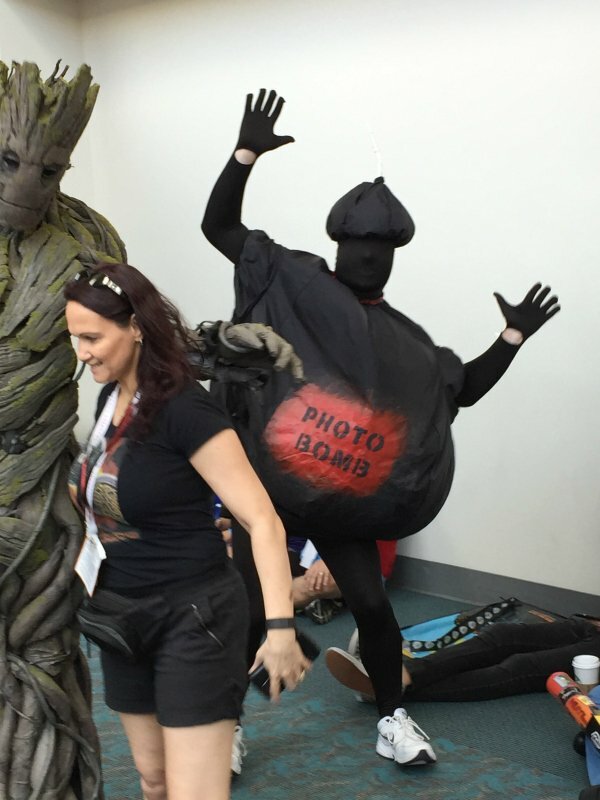 This dude spent the day jumping into the background of people’s pictures. Get it? 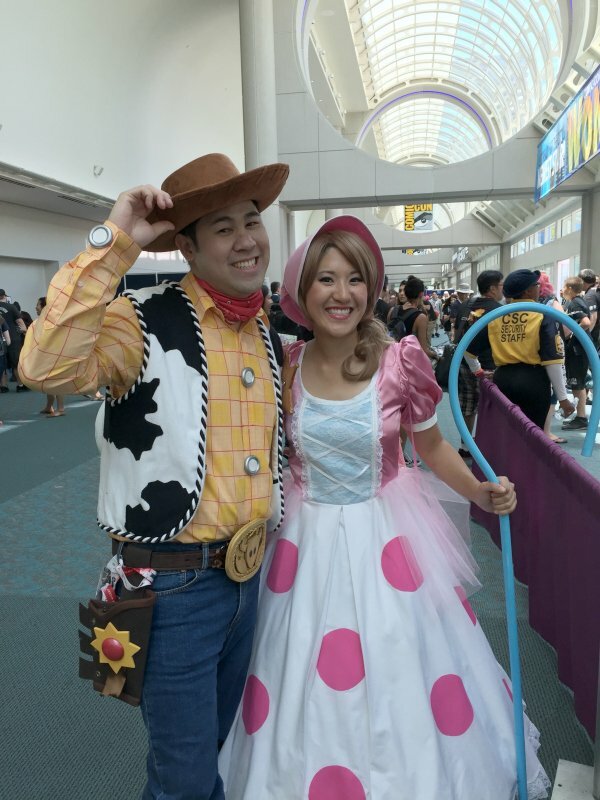 A match made in Toy Story heaven. What a lovely day, indeed.